These railings fix into a wall or other types of uprights using screws (not included with the kit). As with all our rails, they can be installed both indoors or outdoors near steps, ramps or in a garden and will provide safe access to elderly and disabled persons. The handrail kits can be configured to suit any space - if you can't find the dimensions you need, just get in touch for a free quotation. 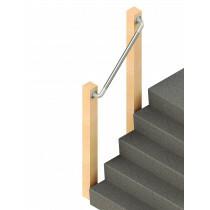 Open ended, smooth surface wall mounted handrail that mounts to an existing wall or post. 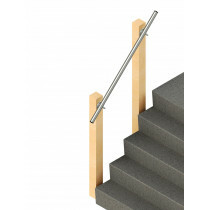 Smooth surface wall mounted handrail that terminates back into an existing wall or post. 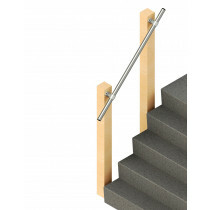 Open ended wall mounted handrail that mounts to an existing wall or post.